With her baby on the way, Markle is pushing the envelope further by not following the traditional royal methods of childbirth. How she intends to bring up the baby, who will be seventh in line to the throne, will only increase the scrutiny. The Mail on Sunday reported that Meghan had already broken with royal tradition by appointing her own delivery team without "the men in suits", a reference to gynaecologists working in the Royal Household. The royal family rarely issues statements reacting to media reports but, in a sign of potential battles to come, it denied a recent story in Vanity Fair that Meghan wanted to bring the baby up gender-neutral. The magazine had quoted a source close to Meghan as saying that the couple "have already planned a gender-neutral nursery and this seems to be in line with Meghan's ideas about how to raise children". A spokesman for Kensington Palace, the couple's London residence, called the story "totally false". 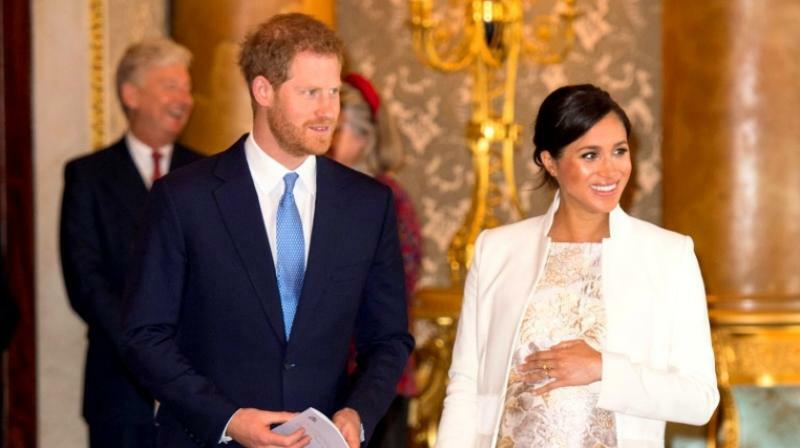 Ever since the pregnancy was announced, the couple have been preparing their future home at Frogmore Cottage on Queen Elizabeth II's estate in Windsor with a 3 million pounds (3.5 million euros, USD 4 million) renovation. The Duchess of Sussex wants to use vegan paint infused with eucalyptus oil to decorate the nursery for the new arrival, according to the Daily Mail newspaper. Meghan, who grew up in California and is a long-time advocate of holistic treatments, was recently spotted visiting an upmarket boutique that offers homoeopathic treatments for new mothers, the tabloid reported. Other signs of her influence include her reportedly convincing her husband to eat less meat, joining in her vegan diet during the week. The former US television actress and lifestyle blogger is close to her mother Doria Ragland, describing her as a yoga-teaching free spirit. Meghan's arrival in the royal family was greeted with optimism that her star power and modern culture savvy would help make the institution relevant in the era of social media and celebrity mania. But the monarchy must walk a fine line, also remaining true to its core purpose of serving the British public, both officially and symbolically. This tension flared when the 37-year-old flew to New York for an extravagant three-day baby shower with celebrity friends including Amal Clooney, reportedly costing 300,000 pounds and leading to a barrage of criticism. "The absolutely number one rule is don't rub the British people's noses in your wealth," said journalist Piers Morgan, a frequent critic of the duchess. The Queen was also said to be unimpressed by Meghan's demands to borrow a tiara from the Royal Collection for her wedding, telling Harry that "she gets what tiara she's given by me", reported the Daily Mail. The monarch has now "banned" Meghan from accessing the collection to "maintain order, hierarchy and precedence" within the family, said the paper. The tension has been exemplified in the reported rift between Meghan and her more traditional sister-in-law Kate, the wife of Harry's older brother Prince William. Meghan will not follow in Kate's footsteps and give birth in the exclusive Lindo Wing of St Mary's Hospital in central London, opting for somewhere "more private", according to The Sun. "She just wants a normal, natural birth and to bond with her baby, without being primped and blow-dried to within an inch of her life just for the pictures," a source told the paper. Kate received praise and criticism, after appearing on the steps of the hospital looking fully recovered, just hours after giving birth to her third baby Prince Louis in April last year.